Being a nurse who advocates social media I often come across doubters – those people who say that nurses shouldn’t use social media on a professional basis as it will damage their reputation and that of their organisation, those who doubt that social media can do good and those who firmly believe that as nurses we should NEVER set foot in social media spaces (usually what these people say is accompanied with undertones of consequences of biblical proportions!) These social media doubters used to be many in number but over the years I have seen a decrease in their numbers … however they do seem to becoming more adamant! I listen politely and then point out the converse view, that perhaps by NOT engaging in social media we are damaging our reputations and the reputations of their organisations…. 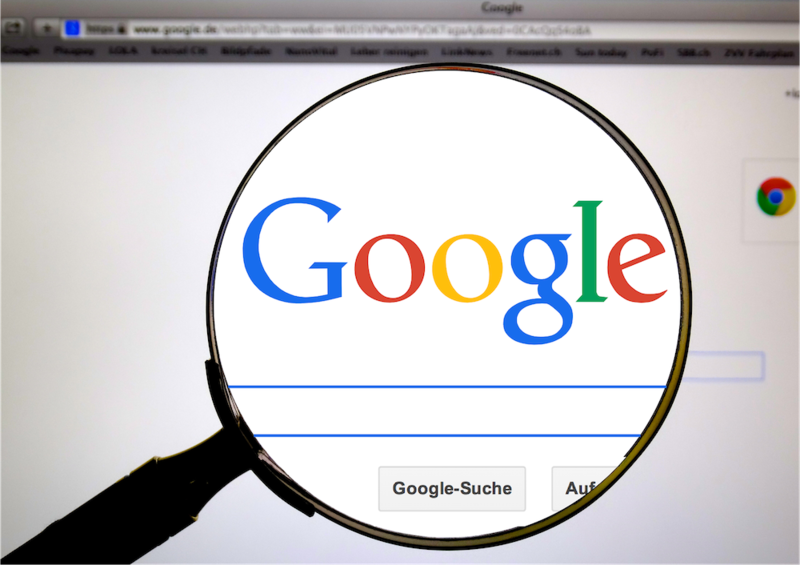 What would happen if you Googled an organisation and found nothing??? A bit weird huh? And I think that we are fast approaching a time when if we Google an individual and find nothing this will also ring some alarm bells. It’s 2018 not 1918 … our lives are becoming increasingly integrated with our digital spaces, and everywhere we go on the old world wide web we leave a digital footprint … and this is quite often seen as a bad thing, something we should be cautious of, something we need be mindful of and perhaps even strive to eradicate. I have often shared the video below about Digital Footprints … it’s a bit dramatic and really does make you think … but it’s a bit one sided in that it explains the doom and gloom and not the bright side. Whilst I agree to a certain extent that we should be mindful of the footprints we leave in digital spaces I wonder if perhaps we are missing a trick. I think that we often forget that our digital footprints are in our control – they are not something that happens to us … we can craft and nurture our footprints and make them look how we want them too. By engaging professionally in social media spaces we can use it to help us build networks, professionally develop and advance our careers as nurses. 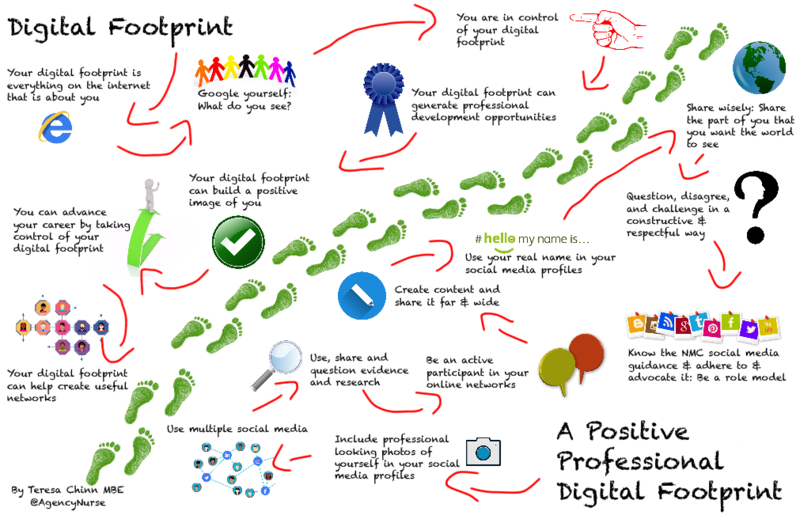 As nurses we do need to be cautious but we also need to be courageous, taking positive steps and crafting our digital footprints can be both empowering and advantageous for individuals, organisations and nursing.